The cards feature twenty delicious, nutritious (and easy!) recipes that are sure to delight your child’s taste buds and have him or her asking for more. The delicious recipes include favourites such as Apple Jelly, Quinoa Combo, Mango Panna Cotta, and Watermelon Cooler. 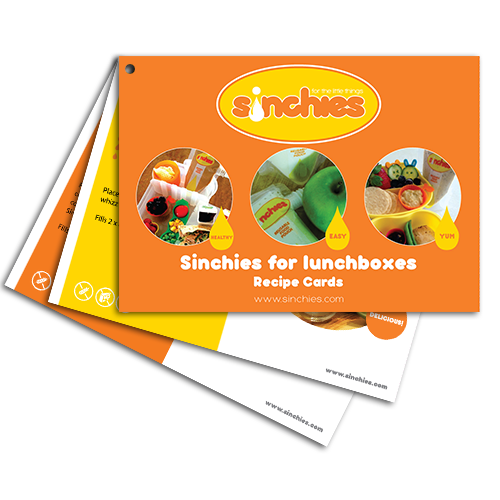 The recipes’ ingredients are packed full of goodness to fill up your Sinchies reusable food pouches. These recipes are designed to fill your Sinchies pouches, but you can also use the recipes for snack, dessert and breakfast ideas! Does this sound like something you would like to have? You can buy the set here.